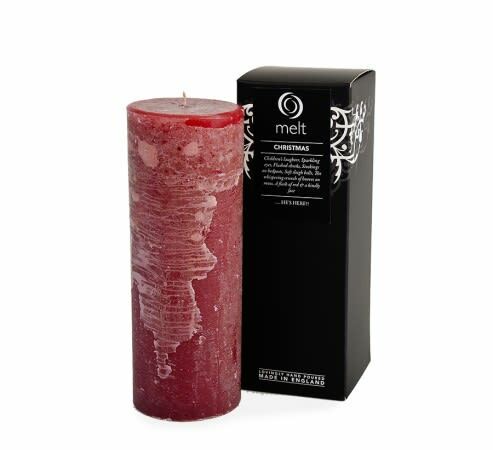 Warm, welcoming, rich and spicy, the Christmas Scented Candle from Melt is perfect for the Holiday Season. Features notes of Cinnamon, Clove, Nutmeg, Orange, Vanilla, Spices and everything Christmassy. Available in tall and thin pillar.